How Effective is Email Personalization and How to Start It? The theory behind the trend is fairly simple: you can’t produce content that will suit the needs of everybody. This is problem as old as commerce itself: you must have a wide variety of offers to suit the needs of multiple target audiences while remaining consistent. Luckily, modern technology offers you the chance to achieve this with ease. 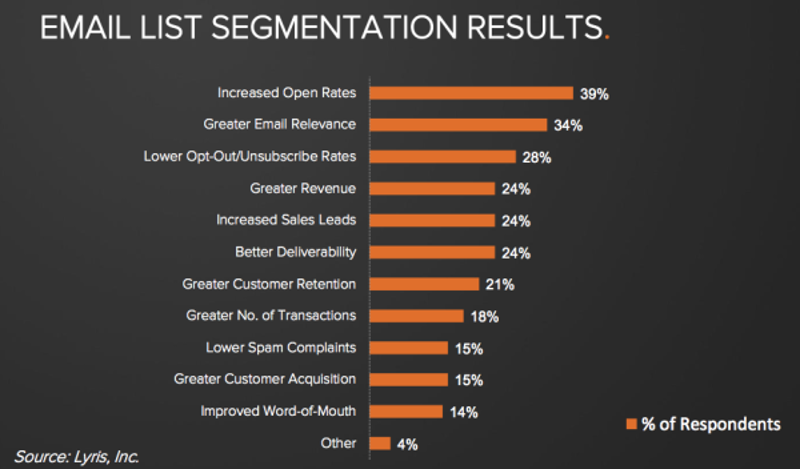 But how effective is email personalization really? Let’s take a look at the Media and Publishing industry. According to MailChimp this sector has an average open rate of no more than 22,6%. But this is not the case for New York Times: for them the open rate is over 70%. Now we have discussed earlier that open rates are not the best metric if you want to measure the efficiency of your campaign. But if you get every 2 recipient in 3 to open your mail that is definitely an achievement. But you will not be able to do this with only one version. NYT has 33 different newsletters which all offer slightly different content. Newsletter is a great lead generating tool for them: someone who signs up for one of their newsletters will be twice as likely to become a paying subscriber. 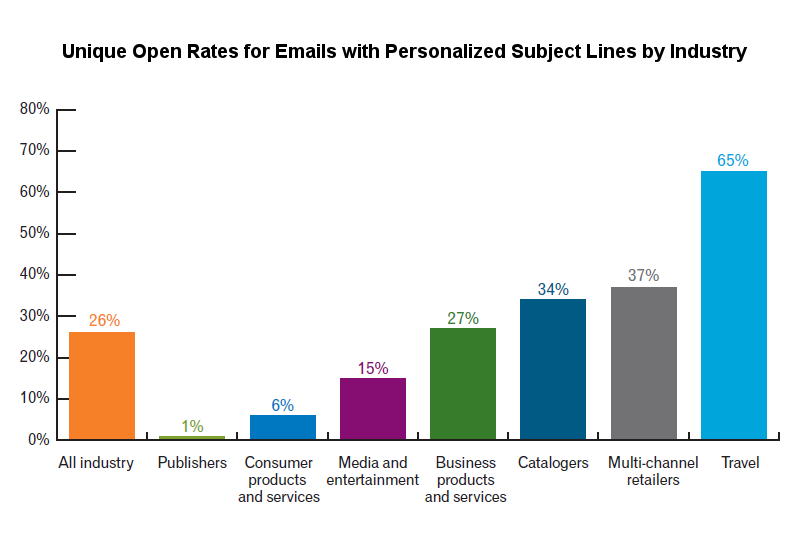 In past years there were several studies which analyzed the effectiveness of personalized emails. The result greatly vary. According to Aberdeen they increase click-through rates by an average of 14% and conversion rates by 10%. Experian found a couple of years ago that personalized emails can increase transaction rates six times. Of course personalization of this magnitude is not easy nor cheap. New York Times **dedicated a team of 12 **to maintaining these 33 newsletters. This is not something that a small- or medium sized business will do. Most times even large companies are unwilling to dedicate the resources needed to establish such a large team solely for the purposes of creating great email marketing. In order to send personalized email you have to gather data about your subscribers. But you should choose a method that will not cause them to back away from subscribing. If you ask for a lot of personal data, fewer people will be willing to have anything to do with you. But you can track what they read. You can add tracker links and measure who was interested in what type of content. You can also get information on your visitors without asking for personal information but rather asking a few questions – like why are they interested in your newsletter. Or you can straightforward ask what type of content they want to receive. Much more people will answer these questions than personal ones. Create buyer personas of your subscribers: segment your list by dates and location, know when and where and on what platform they were opened. This will also greatly help you designing your email via a responsive email editor. Not at all. It may be a sad statistic for email marketers, but around 70% of brands still fail to use personalization and segmentation. And this gives you an advantage. With a good email editor and the right metrics you can create campaigns that give each subscriber what they want – or at least it will be more like their preferences. You don’t need to create dozens of different versions – that would consume an immense amount of energy, time and money. But even with a handful of personalized emails targeted at the established buyer personas you can achieve click-through and conversions rates multiple times higher.